October is my favorite month of the year! The weather is pretty much perfect here in Virginia Beach. We do get those cool Fall days but there are also some days that are still in the 80’s! 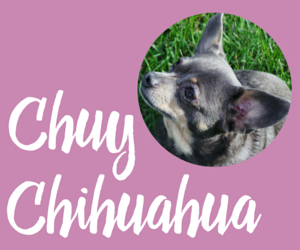 I believe pumpkin is everyone’s favorite fall flavor including the dogs! 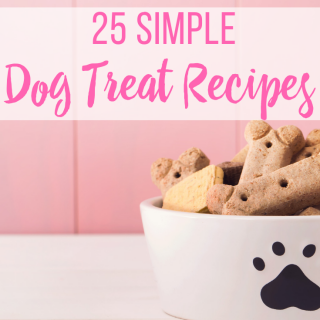 Pumpkin dog treats are really easy to make and are healthy for your pup! 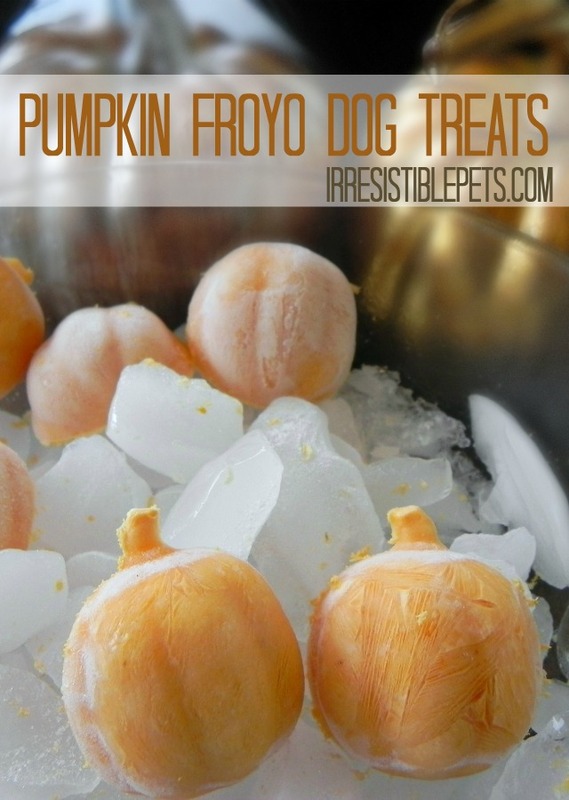 I made this frozen dog treat to stay cool on those hot Fall days. 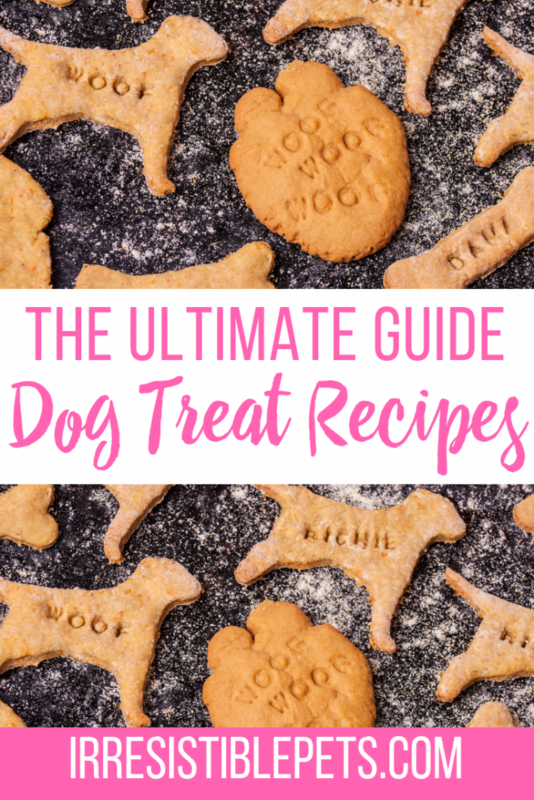 Be sure to check out ALL of our DIY pet projects, costume ideas, and more on our Halloween page and get more recipes for pumpkin dog treats here. 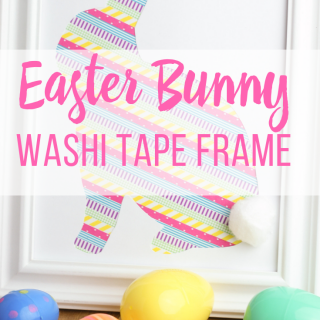 This project cost me $1! 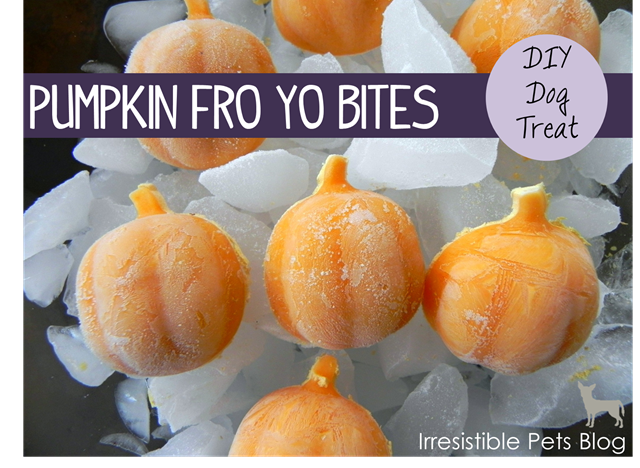 I already had the ingredients and bought the pumpkin ice cube tray at the Dollar Tree. Mix the yogurt, pumpkin, and water together. You can add more water to help make the mixture “runny” so that it’s easier to fill the ice cube tray. 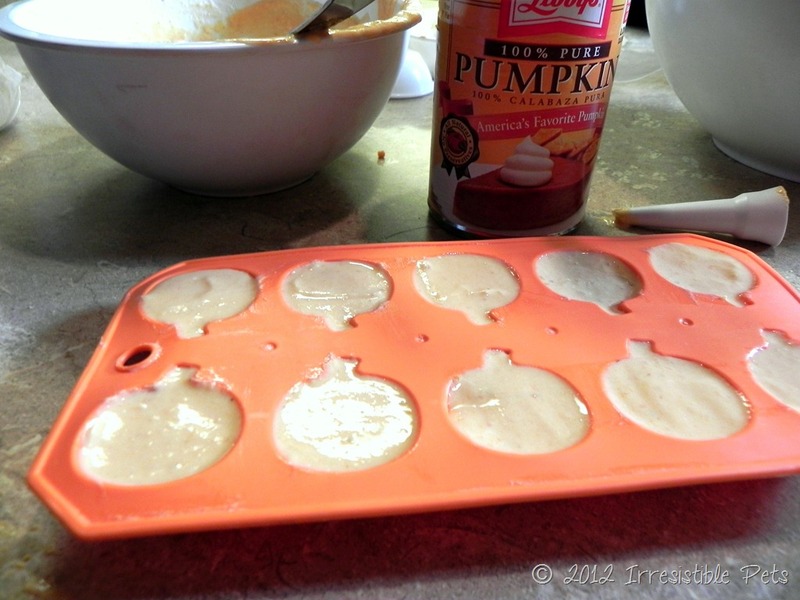 Pour the mixture into your pumpkin shaped ice cube tray (s). 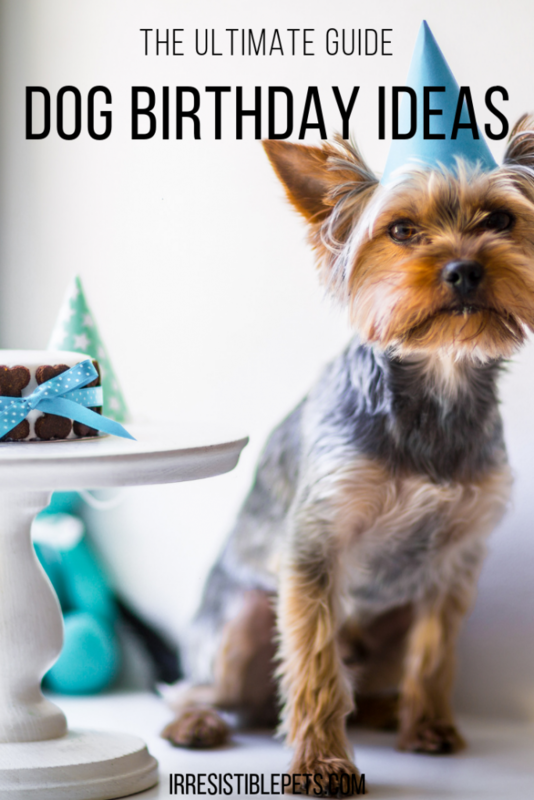 TIP: I used a cake decorating tip as a funnel to make sure I got the mixture into the tray without spillage. 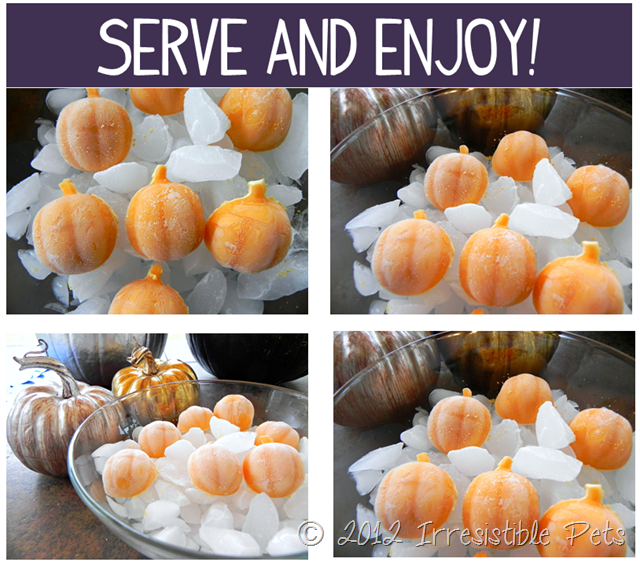 Freeze for about 3-4 hours or overnight. Once the treats are completely frozen, pop them out and serve! Happy Howl-O-Ween! 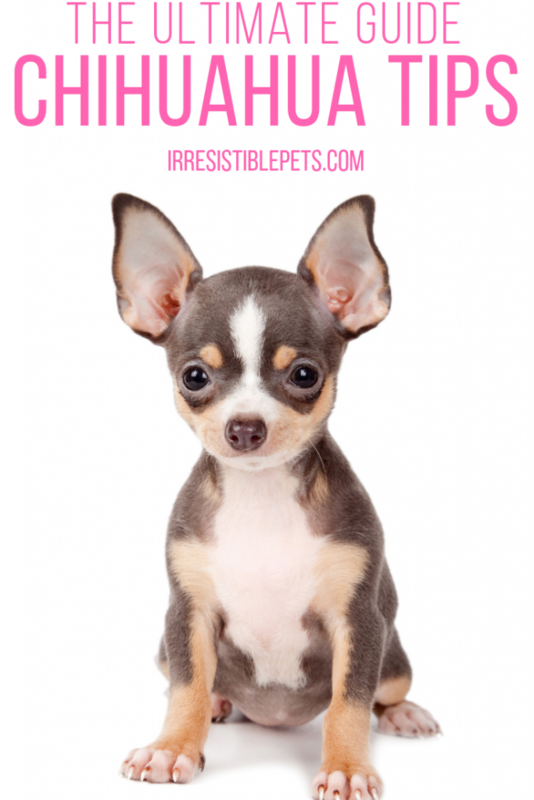 If you love this recipe, check out our roundup of 40 Frozen Dog Treat Recipes. Subscribe to our newsletter and stay connected with us on Facebook, Twitter, Pinterest, and Instagram. 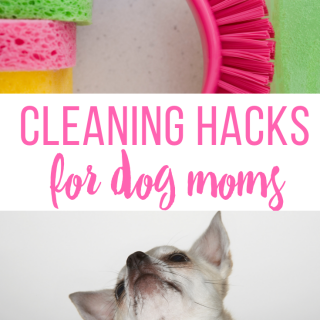 Be sure to check out our DIY Gallery for more dog treat recipes and other ways to help you create an irresistible life with your pets. 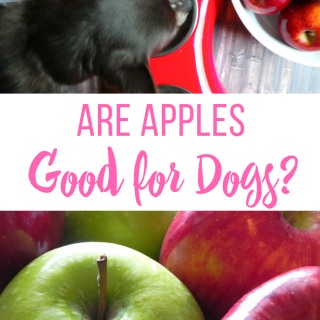 It’s so funny because half the dog treat ideas you post I end up eating with them! Made these and am very excited but quick question. How many treats are an okay serving for a 15 pound maltipoo?? Thanks!